UNRIPE: Have you observed a decline in the quality of produce found in stores? Often, fruits and veggies are picked unripe. They are stored for a long time and may be imported from thousands of miles away. You set that peach out on the counter, waiting for it to sweeten up. But these fruits never ripen! They are flavorless, with low brix (sugar) values. Mind you, that's what you can see, smell and taste -what you actually KNOW. 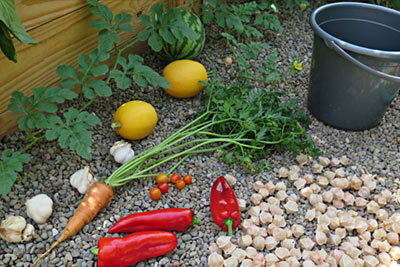 LIMITED VARIETY: Of course, sometimes you can find ripe, safely grown food. But even then, you may observe a very limited variety in fruits and vegetables. That's because grocery produce is selected for optimal shipment and storage life. Some types of strawberries for example are much sweeter than what you'll find at a store. But those varieties bruise easily and spoil more quickly, especially if picked ripe. So they won't ever sell them to you. SUPERIOR QUALITY: Compared to industrial agriculture, the food we grow at home can be vastly superior. We can control the use of pesticides, growing completely organically. We can maintain proper sanitation practices eliminating foodbourne illness. Picking by hand means no damage from mechanical harvesting. We can learn to pick fruit when RIPE, at its peak flavor. 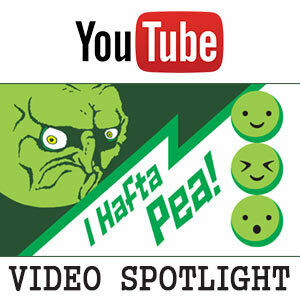 Video: I Hafta Pea Tasting Garden Grown Peas! Once you've tasted fresh peas from a garden, you'll never go back! NO LOSS IN NUTRIENTS: Once picked, fruits and veggies can be eaten that SAME day. That means NO loss in freshness, nutrition or flavor! Although some food nutrients like iron and fiber tend to hold up as produce ages, other nutrients break down quickly. Anti-oxidants like Vitamin C are sensitive to heat, light and oxygen. Thus, levels decline in harvested produce as it sits, waiting for consumption. Vitamin B and polyphenolic compounds will degrade as well. That gives backyard gardening a significant advantage over our commercial food supply! UNIQUE HEIRLOOM VARIETIES: Home gardeners are not concerned about which varieties are bred for longest shelf life. We're out in our yards, munching on produce before it ever sees our kitchen! Our veggies don't need to withstand mechanical harvesting. We want flavor! So we are willing to try softer, sweeter varieties (which are not viable as commercial crops). 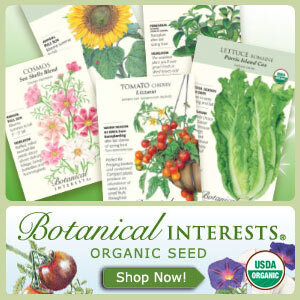 That means an endless variety of seeds for your garden. You can order special heirlooms. Do you know how many types of peppers there REALLY are!? You can grow veggies with unique shapes, sizes & colors. With a bounty of fruits and vegetables you'll soon find yourself trying new recipes, creating even more variety! Peas Grown in the Garden!